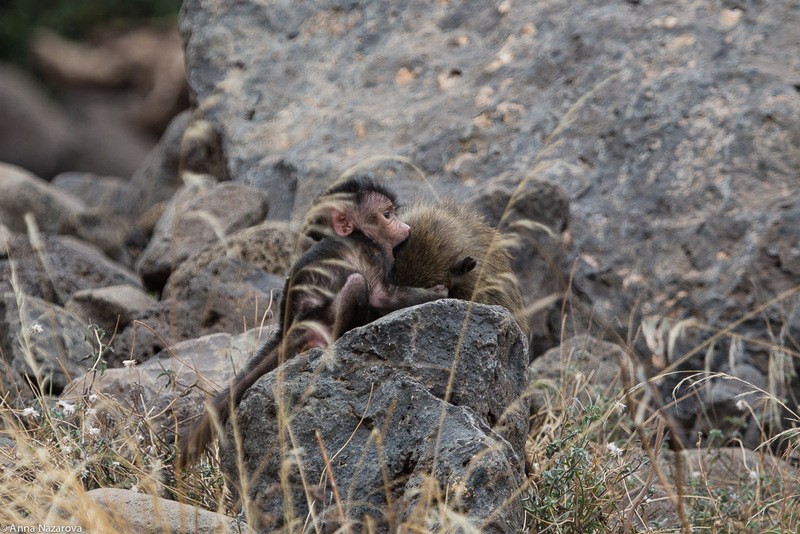 After Serengeti, we headed to the Ngorongoro crater. This is a large volcanic area, where you can spot lots of animals. We spend there just one night and one day. If I would go now, I would definitely spend more time there. It’s very beautiful there. 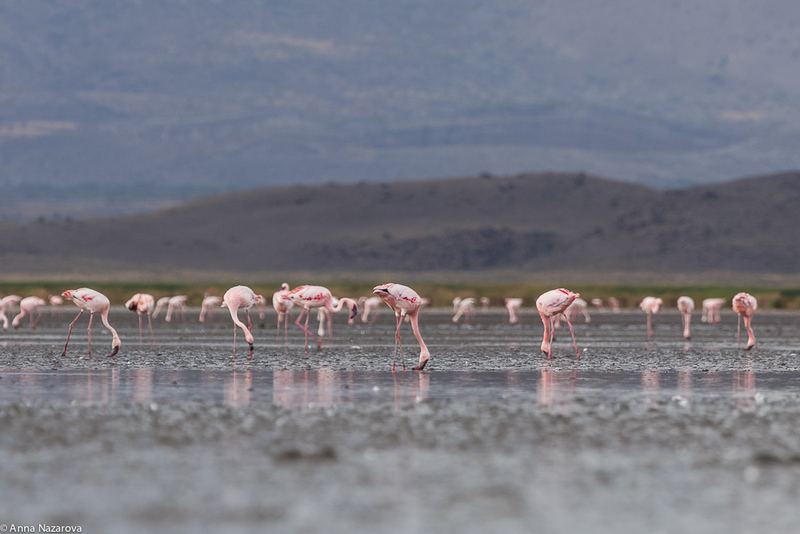 The name “Ngorongoro” comes from the language of the maasai tribe. They call it the sound of the bells they use for cows, goats and sheep. 1. 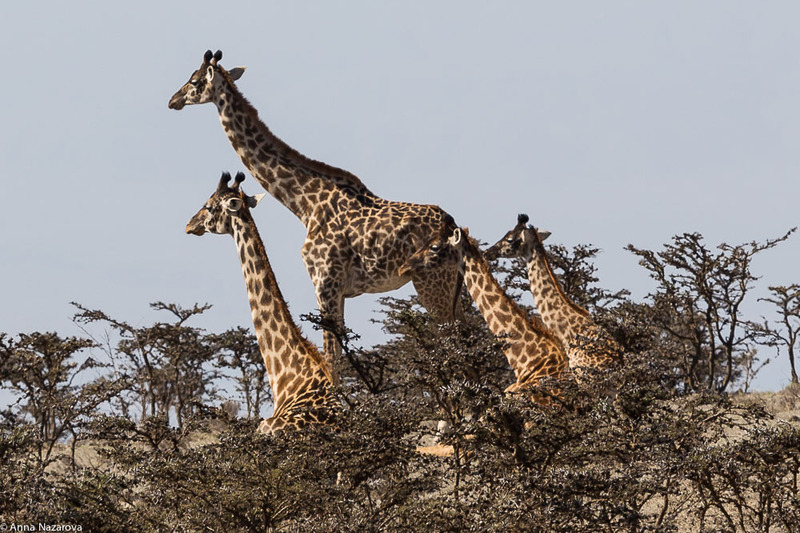 Giraffes on the way to Ngorongoro. 3. 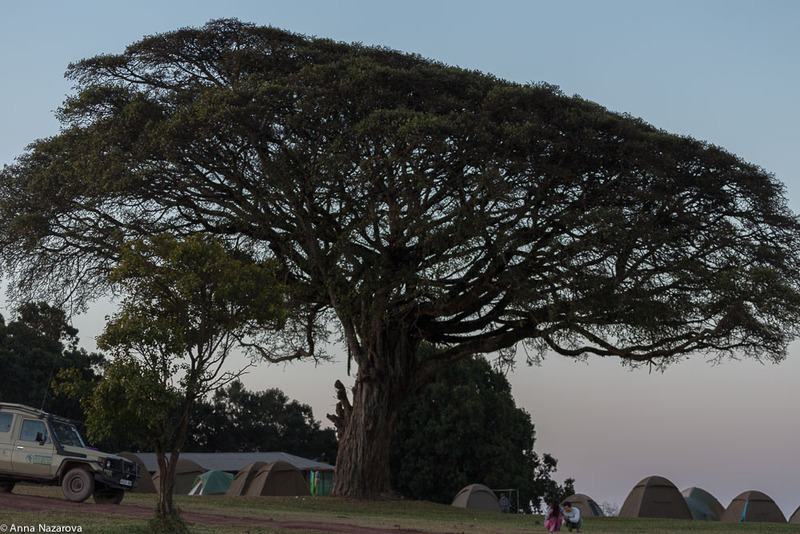 Big baobab tree at the campsite. It was pretty cold there, especially during the night, so bring some warm clothes with you. 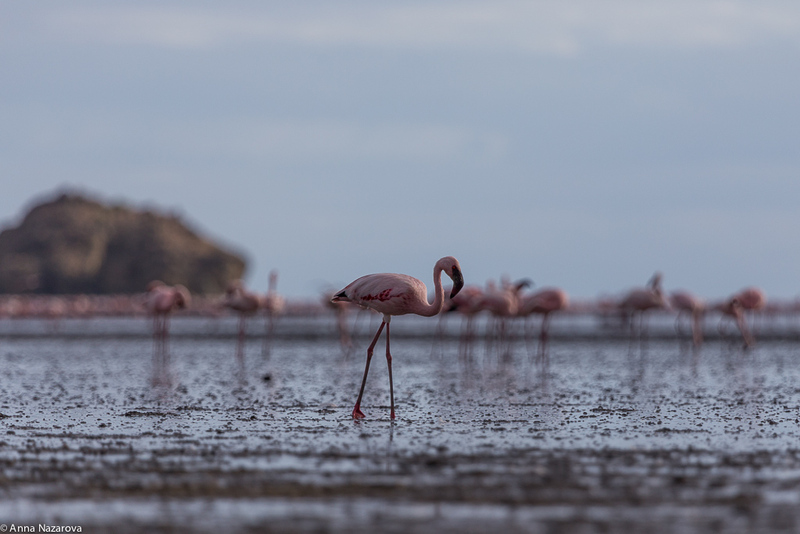 Ok, after my posts about Tarangire NP, Lake Manyara and Lake Natron (1, 2, 3), i’m going to continue with my Tanzanian journey and switch now to the Serengeti national park. This park is one of the most famous national parks in the world. 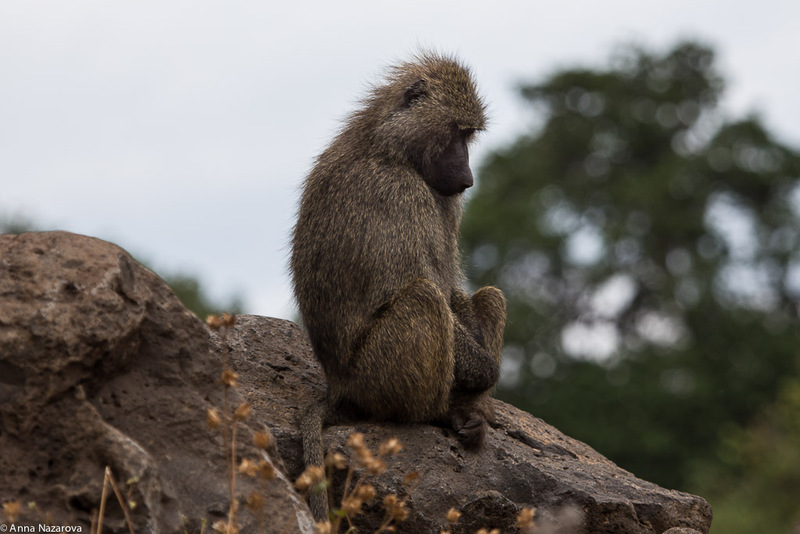 It’s famous for its huge diversity and for the wildebeest migration together with other herds of cloven-hoofed animals like zebras, gazelles and impalas. It’s really an amazing and spectacular sight, but i was not lucky enough to watch it. 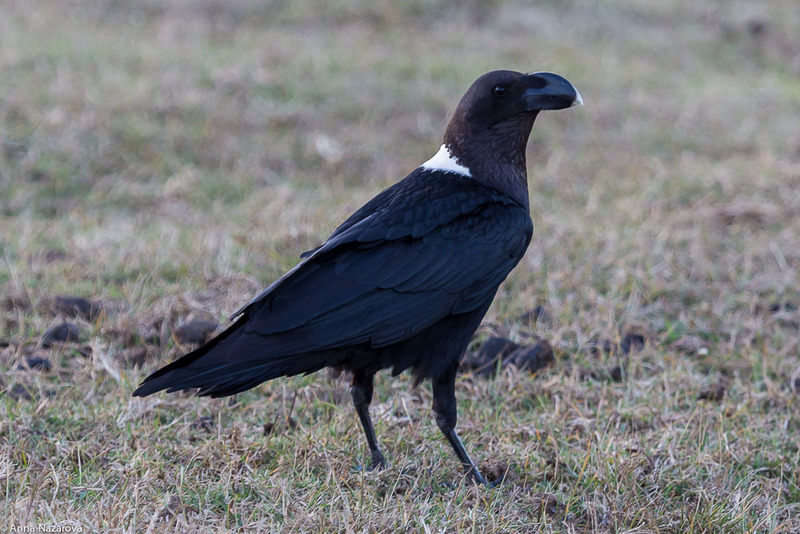 The problem is that the animals migrate in the very northern part of the park which is quite far away from the northern entrance. 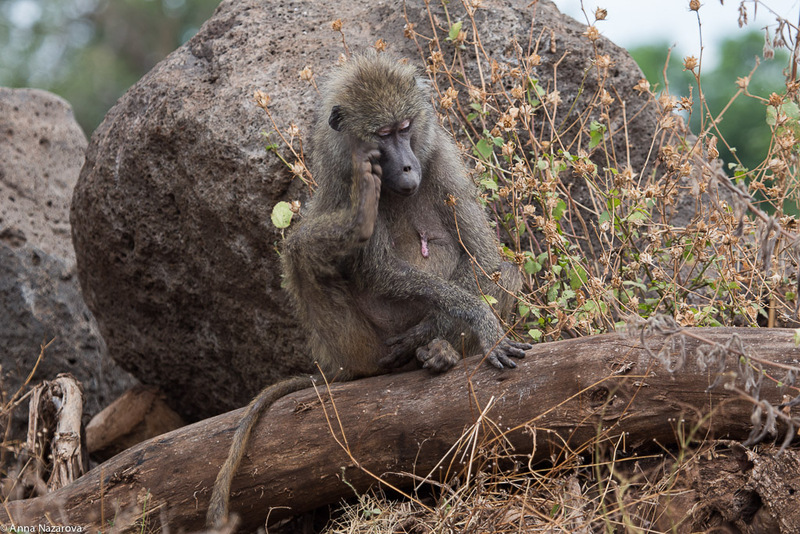 So if you visit the Northern Serengeti, give yourself at least one full day and two nights to surely visit the migration at the river spot. The best time to see it in the Northern part is September. 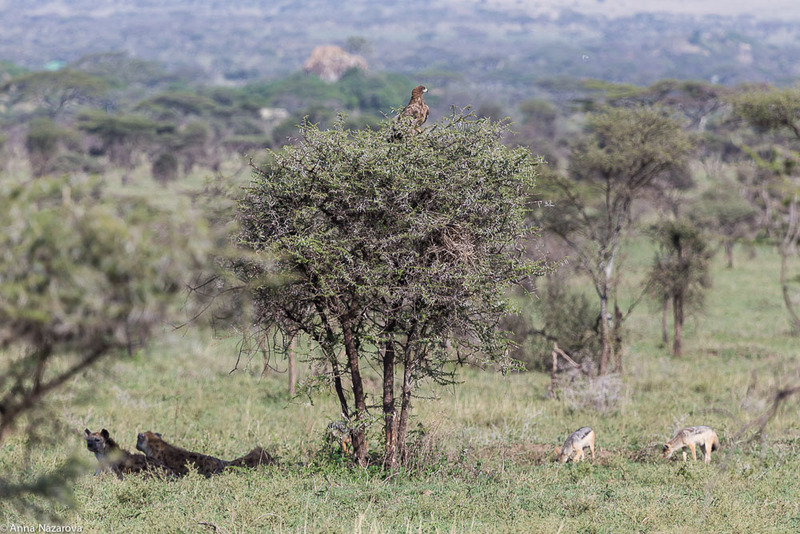 Then in the early morning we continued with safari in the northern part of the park till lunch time. And afterwards we proceeded to the Central Serengeti. It takes about 2-3 hours to get there, but since it’s inside the park you still can see lots of animals on the way, so it may take a bit longer. 1. 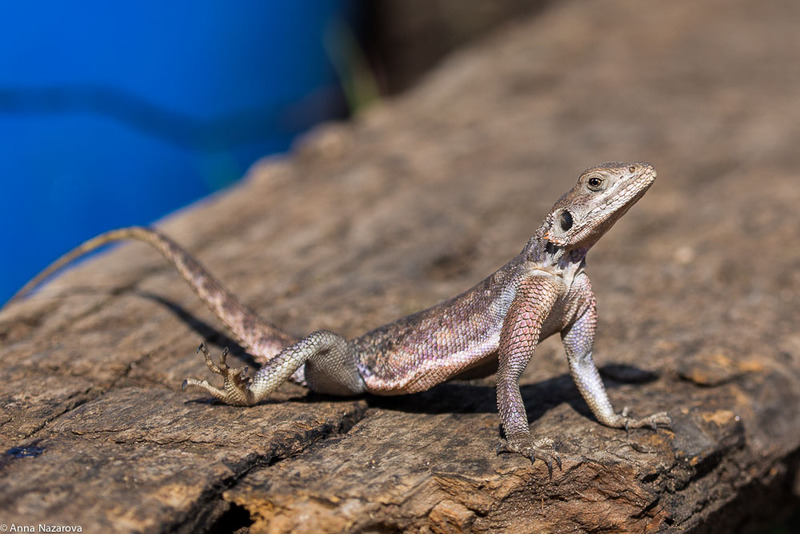 An Agama lizard right at the entrance. 2. 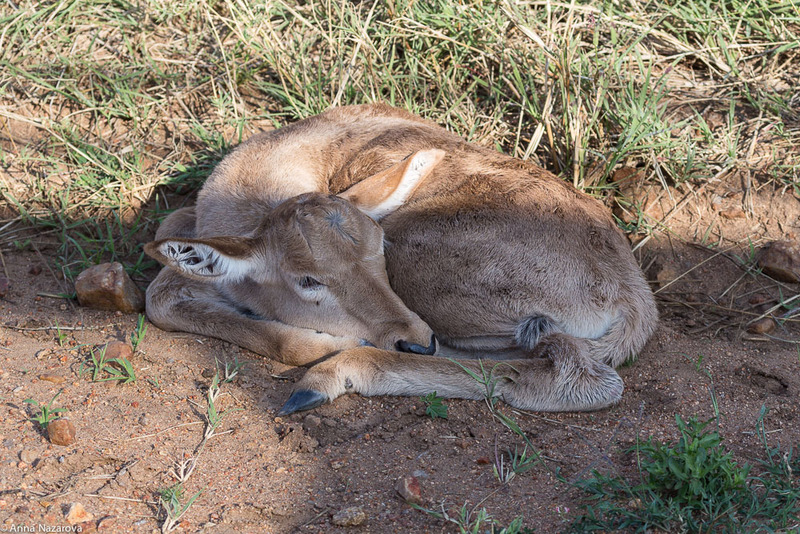 Baby Coke’s hartebeest was just lying at the road. 3. 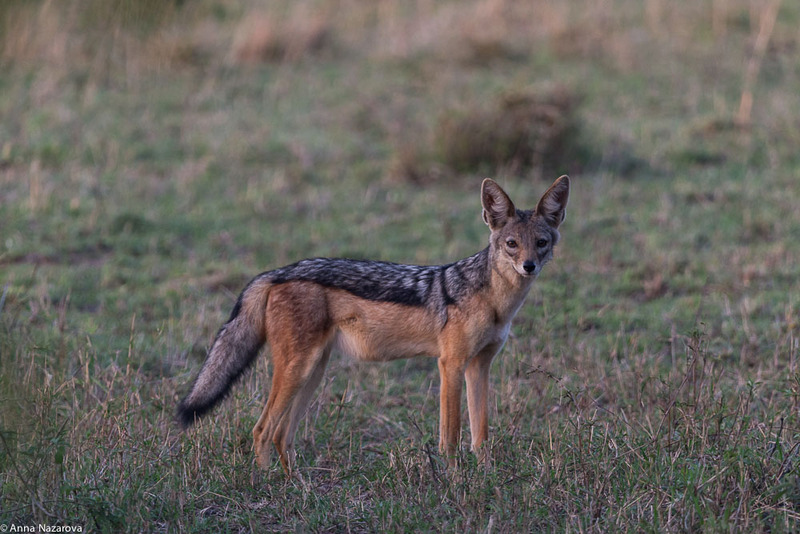 A Black-backed jackal at the dawn. 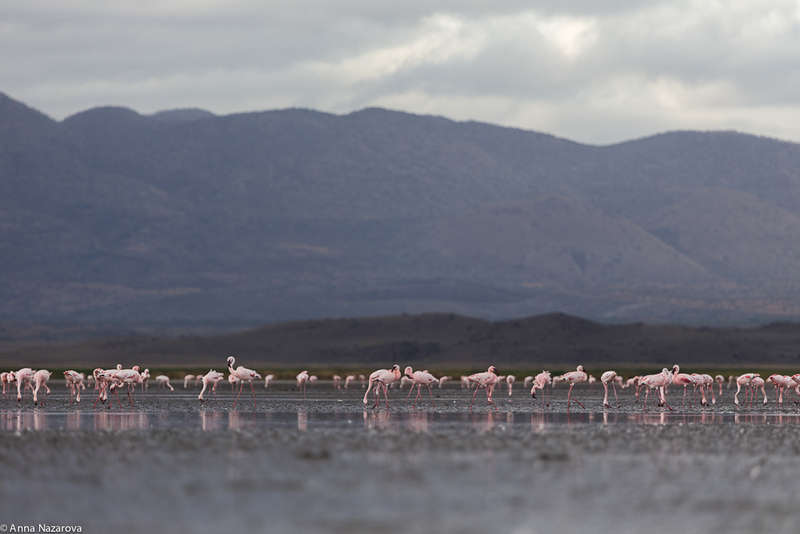 I really recommend to go to Lake Manyara, if you make Northern Tanzanian circuit. 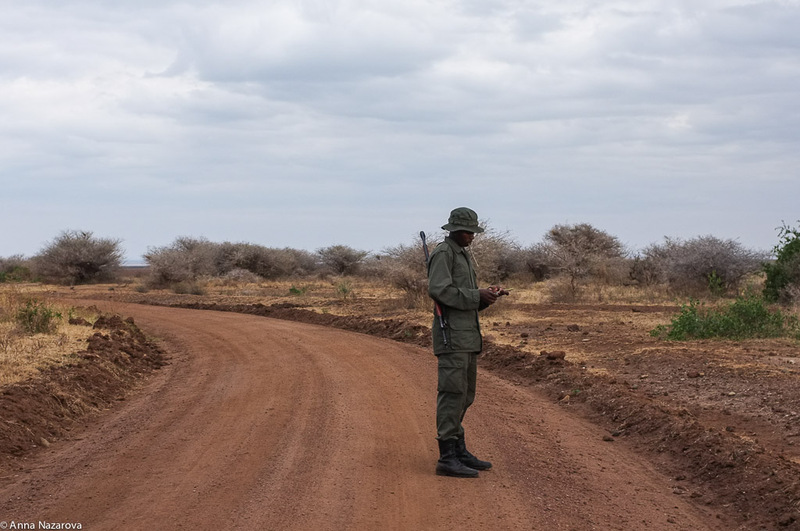 Lake Manyara National Park is located nearby Tarangire, so it makes lots of sense to combine these two parks in two days, in my view it’s an optimal way! 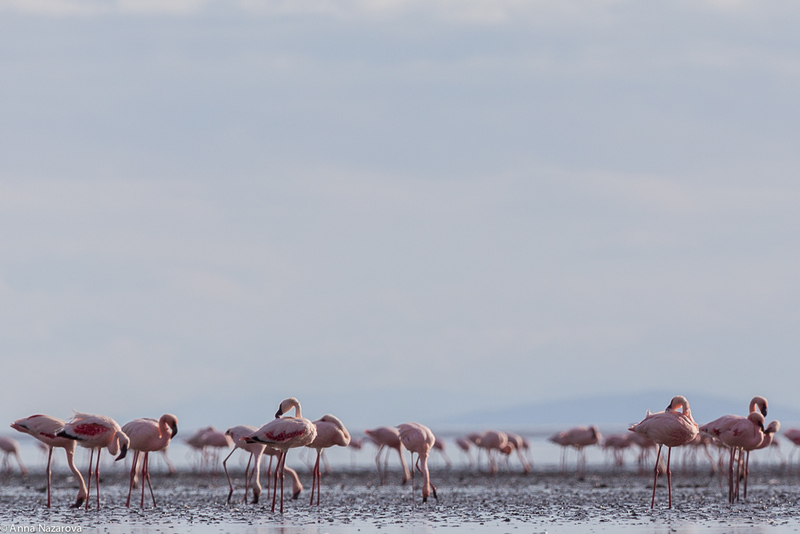 The reason to visit this great place is simple: Lake Manyara is the only place in Tanzania where you can make WALKING SAFARI. 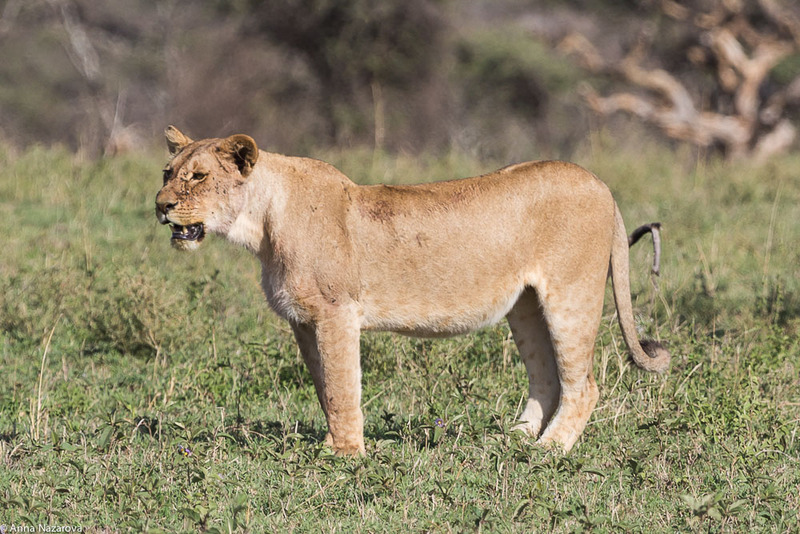 Which is a real excitement and a very thrilling thing you can ever make in african savannah. Since usually you make a morning and/or afternoon jeep trip to the park, you won’t have much time to see a lot. You mainly drive through the south-western or western part of the lake and that’s it. 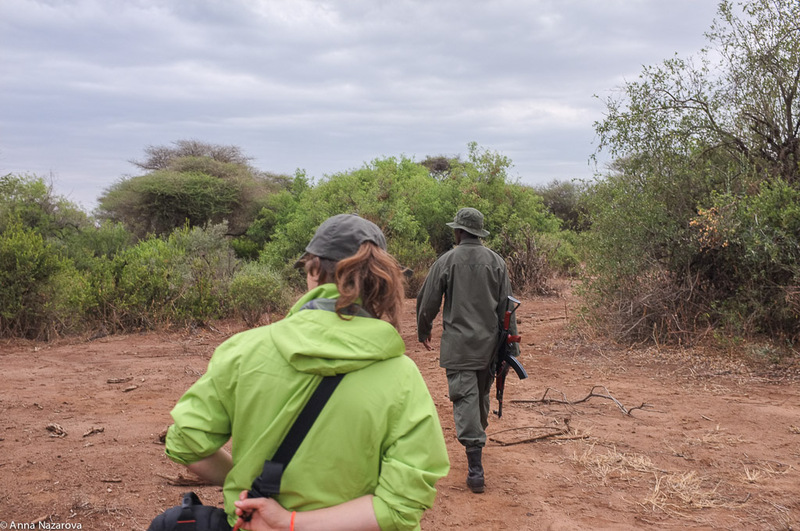 Depending on how much time you have for Lake Manyara, you can arrange a walking safari with a guide from the park and together with your own guide. As far as i remember the price is about 20 or 30 USD per person for a few hours. It’s really worth it! In our case we had a very good guide and his trainee, so in total we were 6 in our jeep up to the starting walking point. 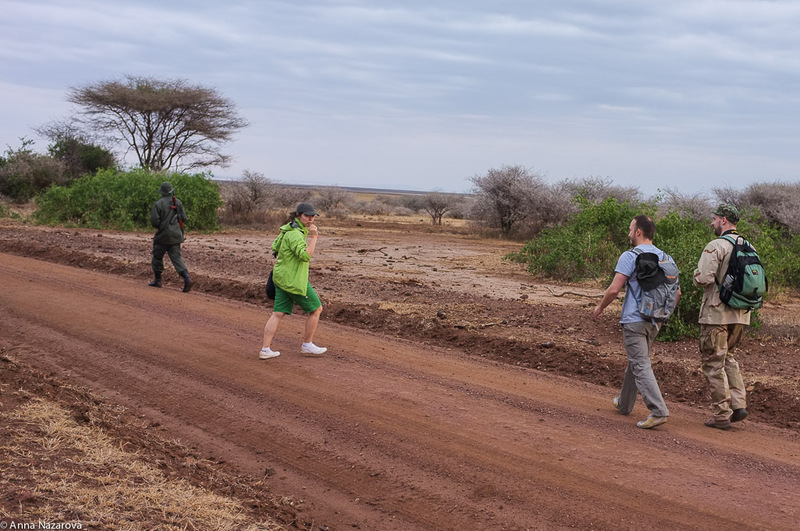 Then our permanent guide (Jolis) has left us for a few hours and we continued with our Manyara walking safari guide. What we did was absolutely amazing. 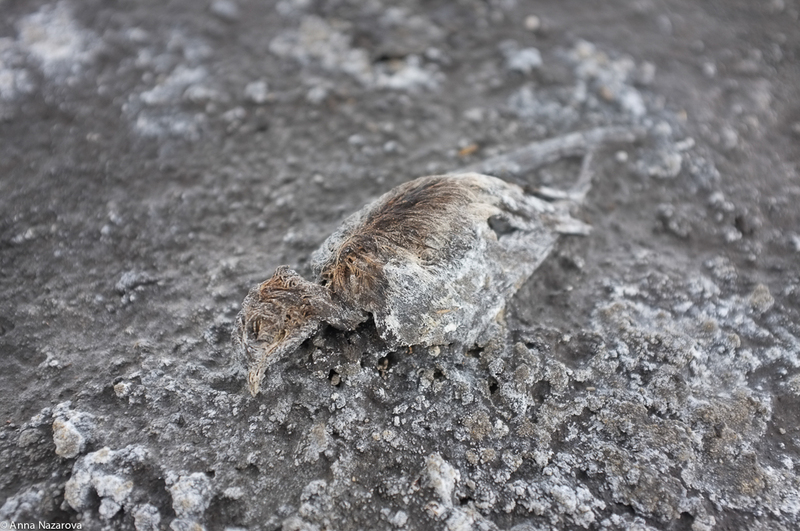 We started walking through the bush and inspected some excrements from various animals. This guide and his trainee were very good at knowing all the animals and his typical behavior. We learned so much about animals that I don’t think we learnt more afterwards! 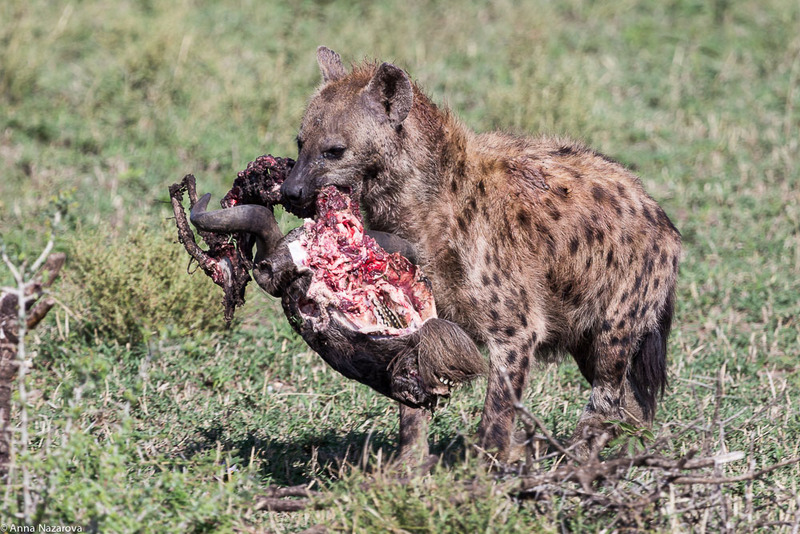 For instance, did you know that for hyenas it is hard to get food, so mother is feeding her child for about a year? In order to have milk, she has to eat anything she can find, even bones of the animals, that is why their excrements are white, since it contains calcium! Did you know that those black strips that cheetah has under the eyes are for the sake of the shadow so the cheetah can hunt the prey and the sun is not distracting from it? 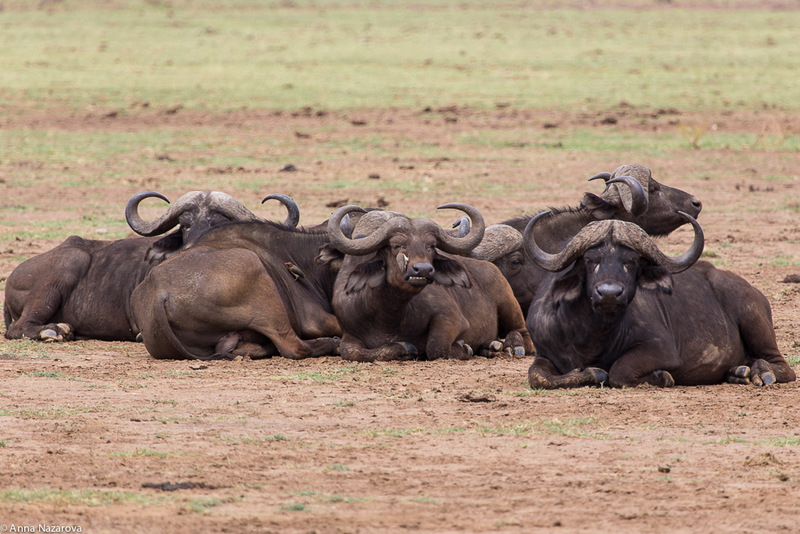 Did you know that african buffalos are very-very angry and mad? Especially when it is one standing in front of you? The reason? When they see some danger, they are considering about to find the their escape route. So if there is a group of buffalos, then they can sort of discuss possible danger and decide if it is worth to attack or to run away. If it is only one buffalo, he/she cannot talk to his “friends”, so he can really get mad and start attacking you! If there is a way for him to run away, he looks and searches if it makes sense to do so in terms of his energy costs and “danger” size! If he decides to attack, then he can easily and quickly approach you and try to get you on his horns. The best strategy in this case for you is to lay down and wait. Then he can start rolling you, and that can still hurt you and bring lots of damage, because his tongue is very-very rough, so if he leaks your hand, he can leak it up to the bones for a few seconds! What we did was a real adventure. We were walking and walking through the bush and the suddenly our guide bended down! And started running on his bended knees! We, of course, did the same and run like this for about 10 minutes. Then he suddenly stood up! And pointed his hand in the direction of a group of buffalos. We started looking at them standing as we were. They were lying, but after noticing us one of them stood up and started watching at us. This lasted for a bout 5 minutes. 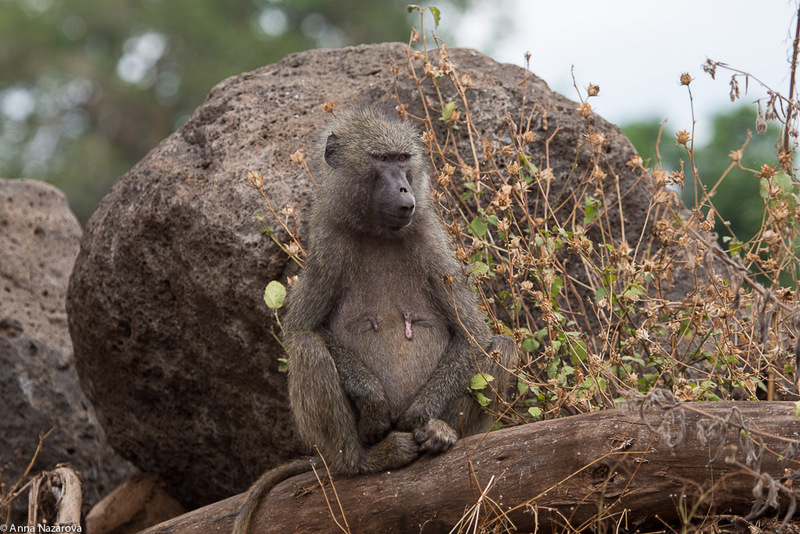 Then two other in the group stood up and also started watching at us… As the guide told us, there were discussing whether it was worth or not to attack us. We were five and they were three… And the reason we were running on our bended knees was that we wanted to stay invisible for them while leaving their escape route. So when the buffalos were sure that it didn’t make any sense to attack us and their escape route to the bush was free, they run away so fast! It was like a real BBC movie, simply stunning! Where else you can have such an experience? 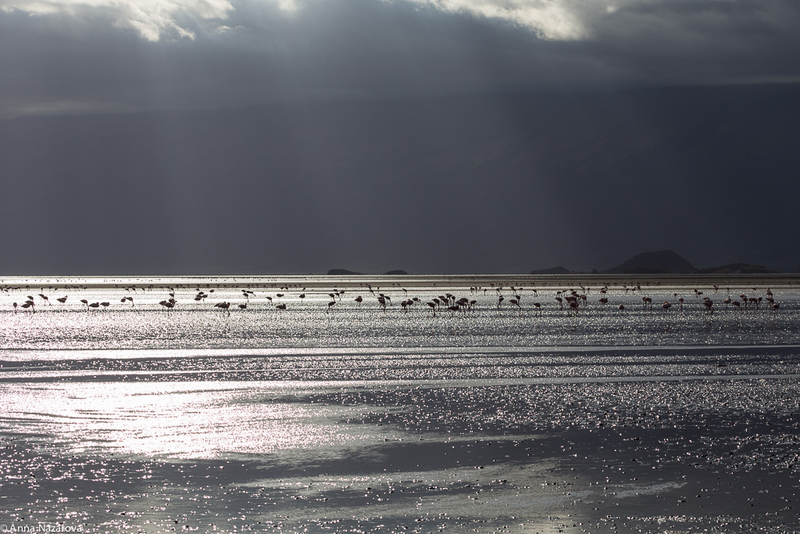 So really go to this wonderful Lake Manyara national park! I can tell you that my adrenaline was so much up and heart was beating so fast, oh amazing!